Earn $3.51 in Rewards credit (351 points) What's This? Thanks to the new Dura-Ace R9100 crankset's ingenious spider design, both inner and outer chainrings share a common BCD. 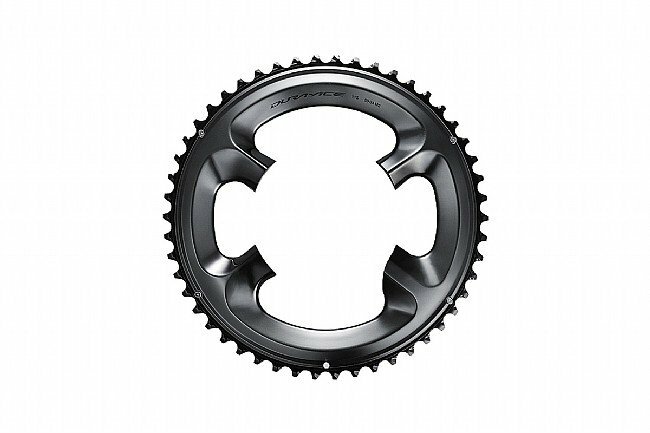 This means that the lighter, stiffer Dura-Ace FC-R9100 Chainrings are one-size-fits-all, as long as you're working with a new Dura-Ace R9100 or R9100-P crankset you can switch out chainrings to your heart's content.